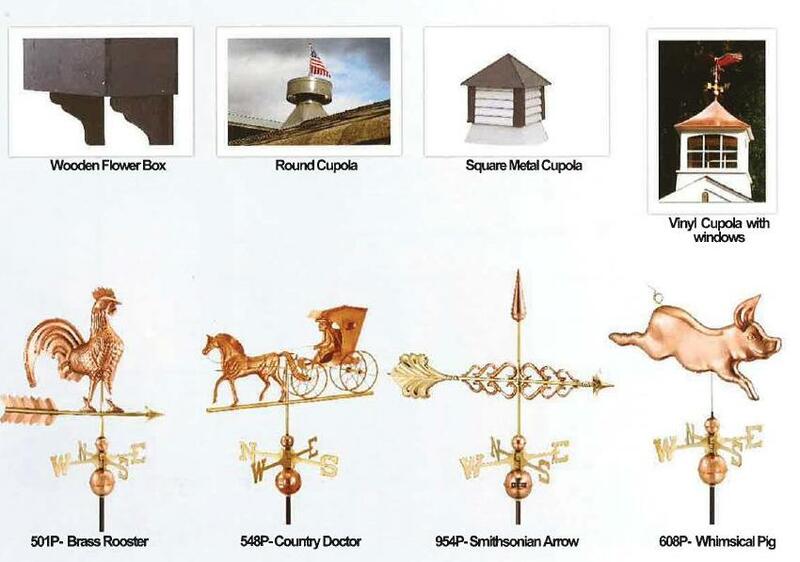 Standard and custom built structures of old fashioned quality. Shed sizes are available from 4 x 8 to 14 x 30. Delivered fully assembled to your prepared site or built on your site. Our floor system lets your building sit up off the ground, allowing air to pass underneath. This keeps your building drier, helping to prevent rusting of tools and equipment. Your building also remains portable so that it can be moved to a new location if needed. 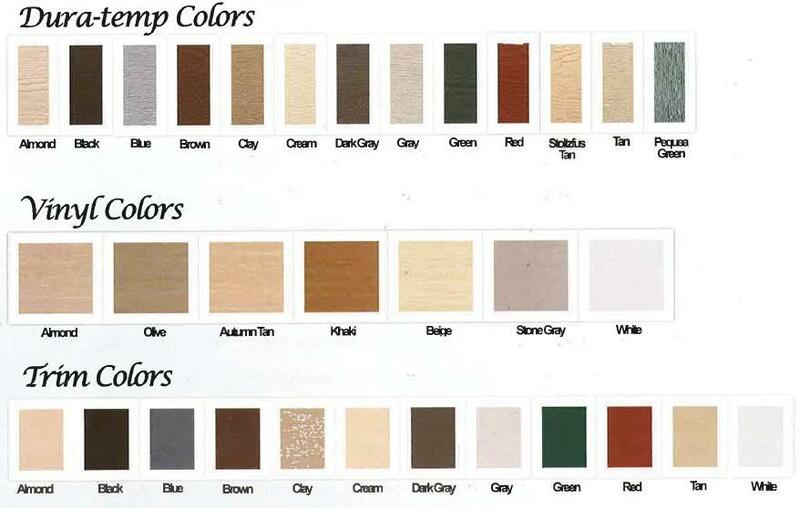 Options include choice of paint color or a variety of vinyl siding as well as a range of shingle colors / styles to choose from. 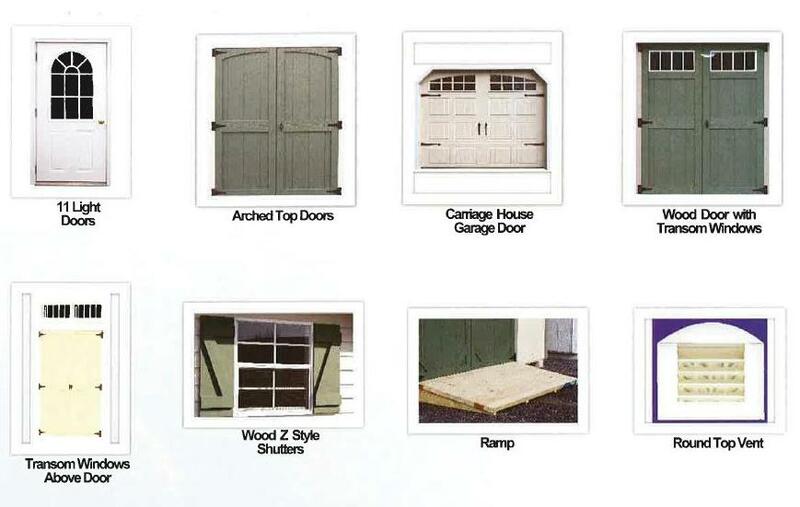 Other options include 11 lite door, carriage house door, overhead doors, cupolas, ramps, transom windows and more. Local delivery for all our sheds and storage buildings is available throughout Maryland and Southern Pennsylvania, please call for details.